Motorists will have to use alternative routes for the duration of the ceremony. 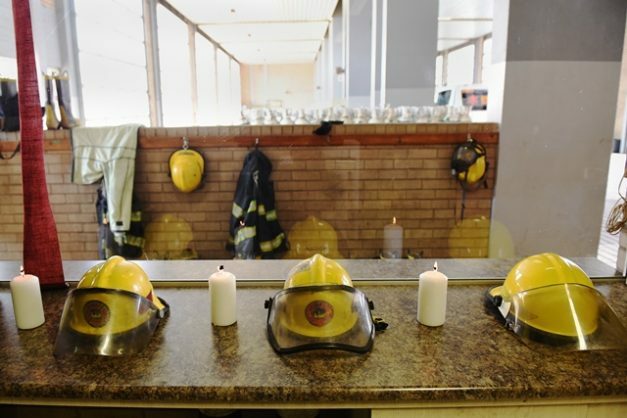 The lives of three firefighters who died while trying to stop the recent Joburg fire will be honoured this morning in a wreath-laying ceremony attended by Metro police, paramedics, and members of the Johannesburg Emergency Services, reported the North Eastern Tribune. Mduduzi Ndlovu and Khathutshelo Muedi died after being trapped in the building while Simphiwe Moropana fell to his death. Spokesperson for Metro police Wayne Minnaar said that traffic will be diverted on certain roads in the Johannesburg CBD this morning (Wednesday) from 9.30am to 11am for the ceremony for the firefighters. The closures are as follows: Commissioner Street will be blocked at Pixley and Seme streets, Albertina Sisulu Road at Ntemi Piliso Street, and Ntemi Piliso Street at Helen Joseph Street. Metro police will be on duty to assist in the direction of traffic. Motorists can use Rissik and Ntemi Piliso streets as alternative routes.